The Phu Quoc Ridgeback (or ‘Beautiful Island Ridgeback’) is a rare dog breed that gets its name from the island from which it originates – Phu Quoc in Vietnam’s southern Kien Giang Province. It is one of only three Ridgeback breeds in the world, the other two being the Rhodesian Ridgeback and Thai Ridgeback. The Vietnamese branch of Ridgebacks is the smallest of these three. These striking creatures are part of a very small, select group – because the breed has been isolated on an island for so long the Phu Quoc Ridgeback has an unusually pure bloodline and unmixed gene pool. As a result, there are only 700 pure bred dogs registered and recognised by the Vietnam Kennel Club. What does the Phu Quoc Ridgeback look like? The Phu Quoc Ridgeback has a unique appearance with a ridge of hair along its back, which is so definitive that it has helped to give the dog its name. The ridge of hair grows in the opposite direction to the rest of its coat and looks like a separate line or section that extends from neck to tail. If the dog is excited or on guard then this hair will usually stand up and the ridge becomes more pronounced. The rest of the Phu Quoc Ridgeback’s coat is short and straight with a combination of coarse and fine hair, the mix of which differs from dog to dog. The coat comes in several colour variations, including all over jet black, a dark reddish brown, a mix of golden brown and black, and the distinctive ‘tiger stripe,’ which is essentially a combination of all the other coat colours. Phu Quoc Ridgebacks have a tapered tail, which is larger at the base than at the tip, and which curves up and away from the body. If you open their mouths you will see a unique black/blue spotted tongue. Males normally weigh in at between 14 kg and 18 kg; females from 12 kg to 16 kg. The average life expectancy of the Phu Quoc Ridgeback is around 14-16 years. 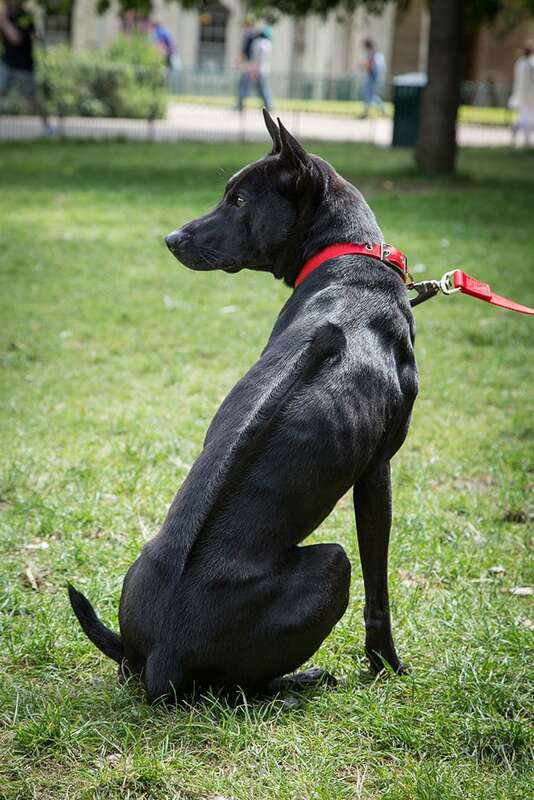 ‘Noble’ is probably the word that you would use to describe this lovely, poised dog. Phu Quoc Ridgebacks grow to a medium size and have muscular bodies, which they love to exercise. They should only carry very little fat and it is unheard of for this breed to have any kind of noticeable stomach. Other than the ridge of hair on the back, perhaps the most noticeable feature of the Phu Quoc Ridgeback is its head, which gives it a distinctly Egyptian look. It’s not just in looks that the Phu Quoc Ridgeback is distinctly regal, as it has a reputation for being a loyal and faithful ally. It is a natural hunter and will hunt for others, including its owner, and it will also defend those with whom it is associated – there are many tales of Phu Quoc Ridgebacks who have saved their families from nasty incidents and I myself experienced this when Moon and Sirius managed to save me from a deadly viper attack at the villa I was staying in Vietnam. Phu Quoc Ridgebacks love to run (and swim)! 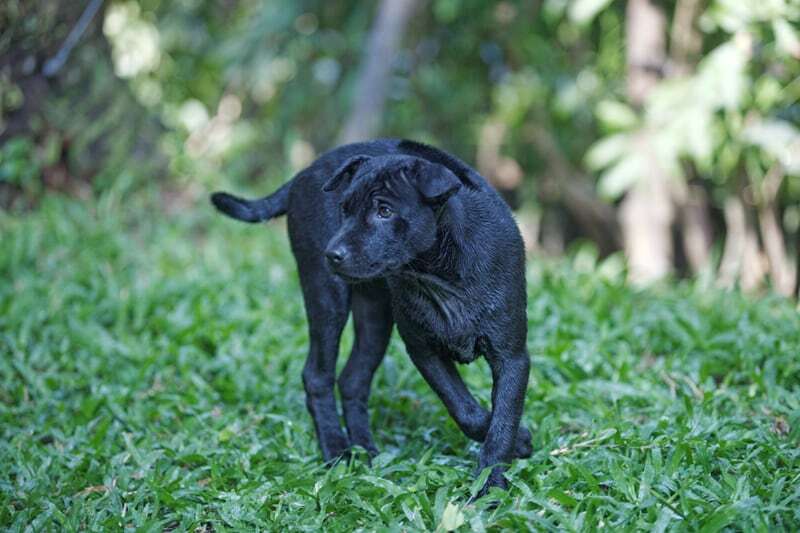 This is a very agile type of dog and they have fantastic coordination from a very young age, which is partly what makes the Phu Quoc Ridgeback such a great hunter. 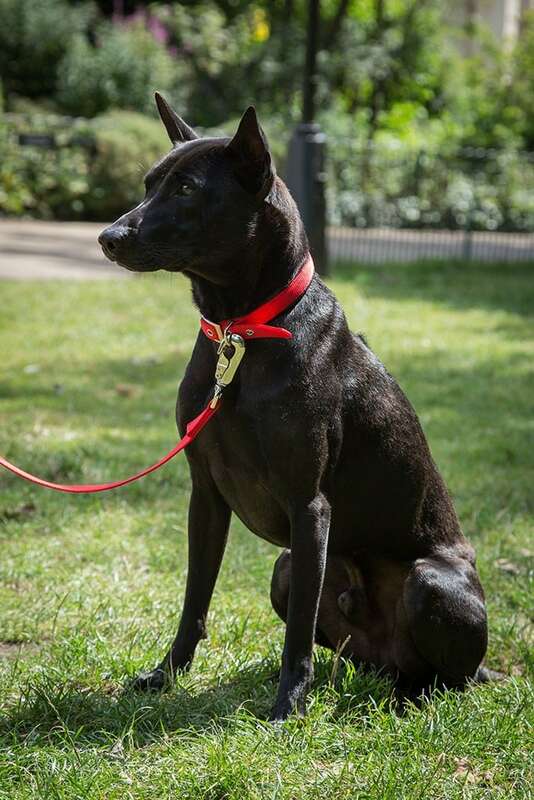 This breed loves to play and be challenged – Phu Quoc Ridgebacks can run faster than just about any other type of dog and when they’re off the leash, and at full speed, some owners find they hop gracefully like a deer. There is also a natural tendency towards swimming (perhaps as a result of its island heritage) and the Phu Quoc Ridgeback has webbed feet that make it very efficient in the water. The Phu Quoc Ridgeback is, physically, a very versatile breed – not only can it run incredibly fast but it can climb trees too and can even catch fish from the sea. Although there are few records of owner experiences with the Phu Quoc Ridgeback, those that exist indicate that they are much easier to train than other dog breeds, partly because they are so intelligent and pick instructions up very easily. House training, basic commands and boundaries can be established in just a couple of days although, as with every breed, some dogs are more stubborn than others. Phu Quoc Ridgebacks are also a very relaxed and even-tempered, which makes them easy to have around (as long as they are looked after properly) and they tend to be friendly to everyone. They are loyal and brave in the face of danger to themselves or their owners. These are very sociable animals and they’re great with different breeds of dogs. The are pleasant to have around and Moon and Sirius come to the office during the day and are happy to sleep on their beds or wander around the office nudging peoples arms and asking to be stroked. Unsurprisingly perhaps, the Phu Quoc Ridgeback is a great parent dog with fantastic instincts when it comes to looking after a litter. Females become sexually mature from around eight months old and can then begin to reproduce. The average number of puppies in a litter is five. One unique characteristic of the Phu Quoc Ridgeback is that they like to burrow into the ground when the time comes to give birth. These dogs are not fussy with their food but I always recommending feeding them good quality food. Moon and Sirius eat Cannagon biscuits and Symply wet food although with boiled chicken as an occasional treat. Because this type of dog has a shorthaired coat they are easy to keep in doors. They don’t need grooming and they do not shed many hairs. 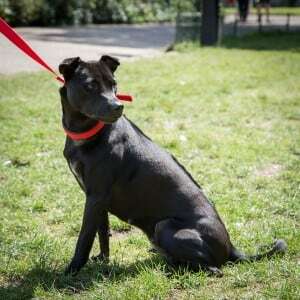 They are known to be healthy dogs and Moon and Sirius have not had any health issues. The French were the first to classify the Phu Quoc Ridgeback as a distinctive type of dog in the 1800s. The breed appeared in the publications Larrouse Encyclopedia and ‘Les Races de Chiens’ in 1897 and two were brought to Europe and exhibited in dog shows towards the end of the 19th century. 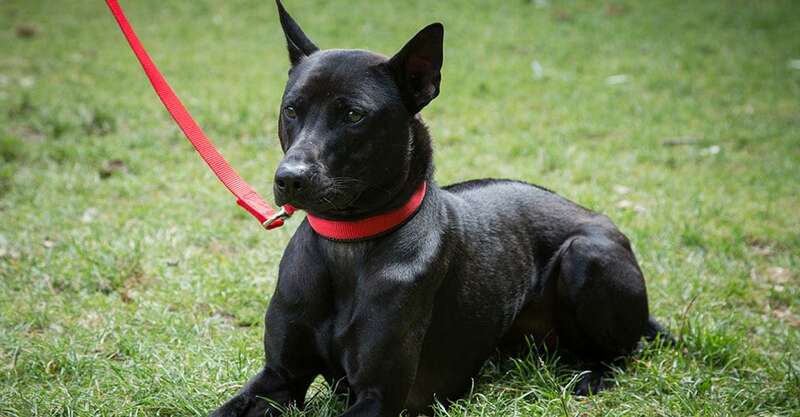 Currently, the Vietnamese Kennel Association is working to create a recognised breed standard for the Phu Quoc Ridgeback but they are still considered very rare, even in Vietnam. 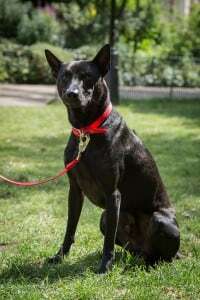 At the moment this breed is not recognised by international kennel clubs, simply because of its rarity, but this is likely to change as more and more people become interested in Phu Quoc Ridgebacks. Due to the fact that there are not many of them at the moment, Phu Quoc Ridgebacks are not able to enter many international dog shows as there are simply too few to be able to judge the breed standard. 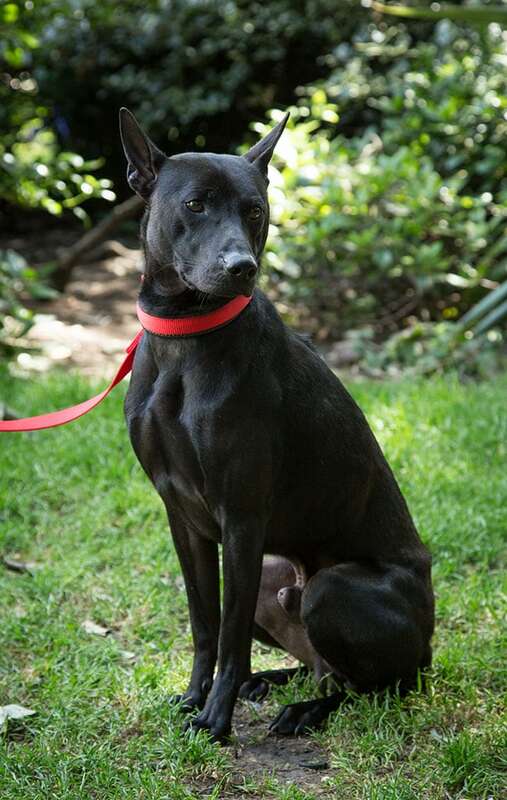 Once recognised as a breed, the Phu Quoc Ridgeback has a lot of show winning potential – this breed won the 2013 Hanoi dog show and my own Sirius won the Vietnam Kennel Association best puppy in Saigon award 2014 and was tipped to be a possible winner at the World Dog Show taking place in October 2015 in Hanoi. I wanted a dog and originally like so many other people considered the Labradoodle route but I must admit I grew a little disenchanted when I was asked to select its genes and just thought dogs in this country are just getting so in-bred, in many cases that it is a little Frankenstein-like. Everyone has a Labradoodle but the Phu Quoc Ridgebacks are very rare and, like many people I just wanted something a bit more interesting. These dogs are also very easy to take care of. They don’t require hairdressers and are healthy, fit and easy to have around. I went on holiday to Vietnam and just fell in love with this beautiful, unusual breed. After many months of searching I found two perfect dogs and I have spent the last six months importing them into the UK. Moon and Sirius are now the only Phu Quoc Ridgebacks in Europe. The dogs themselves are stunning. Every walk along the beach means I get stopped on average by four or five people wanting to know what they are and admiring them. If you are interested in owning one please get in contact. Moon will be having her first litter on around the 17th August, 2015. The puppies will be available 8 weeks after this. All puppies will be health checked and vaccinated before sale. Export can be arranged.